How Would Scorpio Act When They Have a Crush? 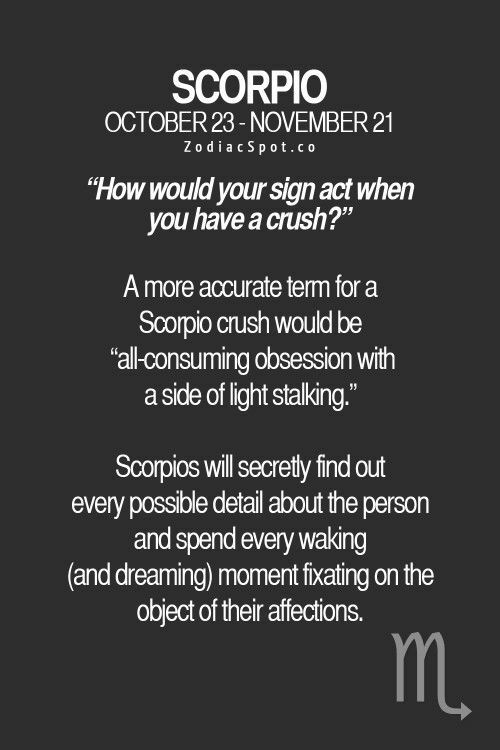 A more accurate term for a Scorpio crush would be "all-consuming obsession with a side of light stalking." Scorpios will secretly find out every possible detail about the person and spend every waking (and dreaming) moment fixating on the object of their affections.